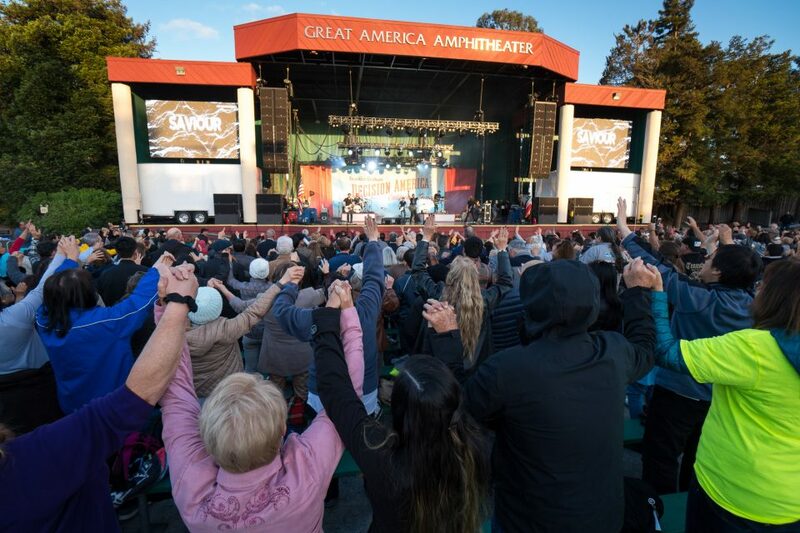 Some 4,800 people filled the stands of the Redwood Amphitheater at California’s Great America for the Santa Clara prayer rally with Franklin Graham. 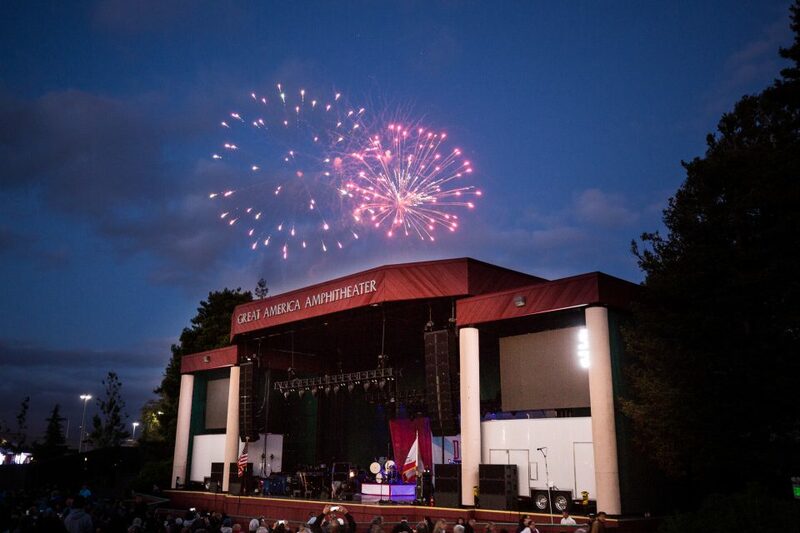 The amusement park was closed for the evening to accommodate the Decision America California Tour event. Attendees bundled up tight as temps dipped into the 50s. 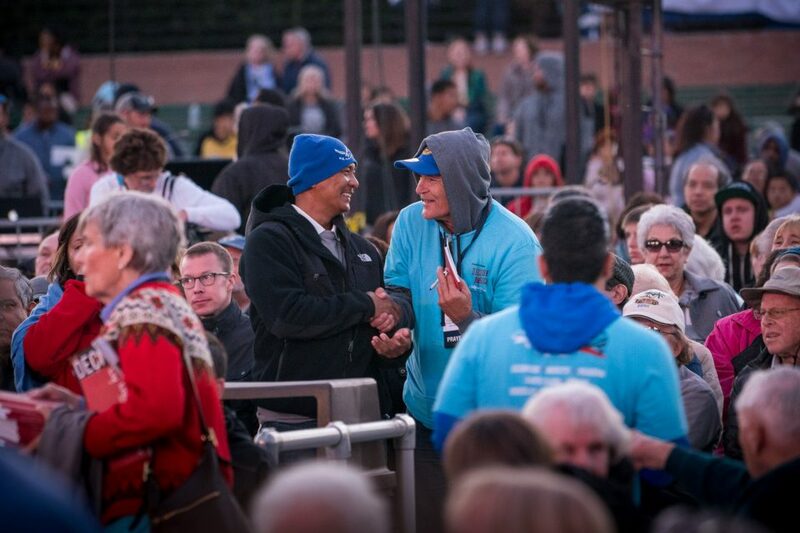 “I thought California was supposed to be warm!” Franklin Graham joked with the crowd. 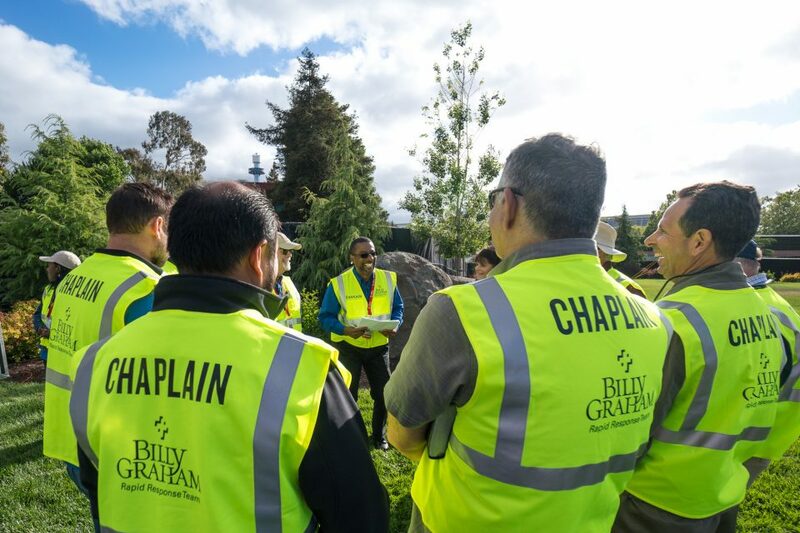 Crisis-trained chaplains with the Billy Graham Rapid Response Team huddle ahead of the event to prepare to share the hope of Christ with anyone in the crowd who may be in need of encouragement, prayer or simply a listening ear. 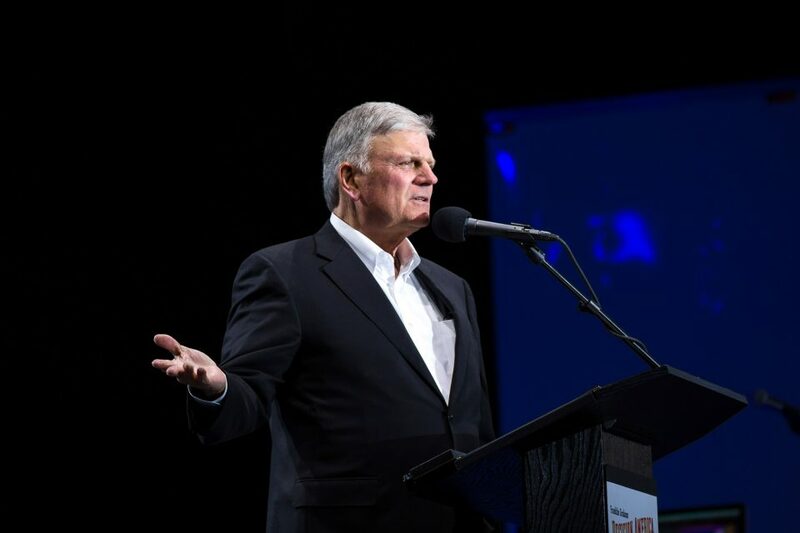 Franklin Graham said now is the time for the church to be “salt and light” in a dark world. The San Francisco Bay Area has one of the largest homeless populations in the country and recent reports show open drug use is a mounting problem as well. “There are people out there searching and looking and they don’t know what they’re searching or looking for,” Franklin Graham said. Franklin preached on the story of Zacchaeus the tax collector in Luke 19. “Zacchaeus repented. He admitted his sin. … Tonight you’ve got to be willing to repent of your sins,” he said. Taking a moment to explain the gift of salvation that Jesus Christ freely gave. 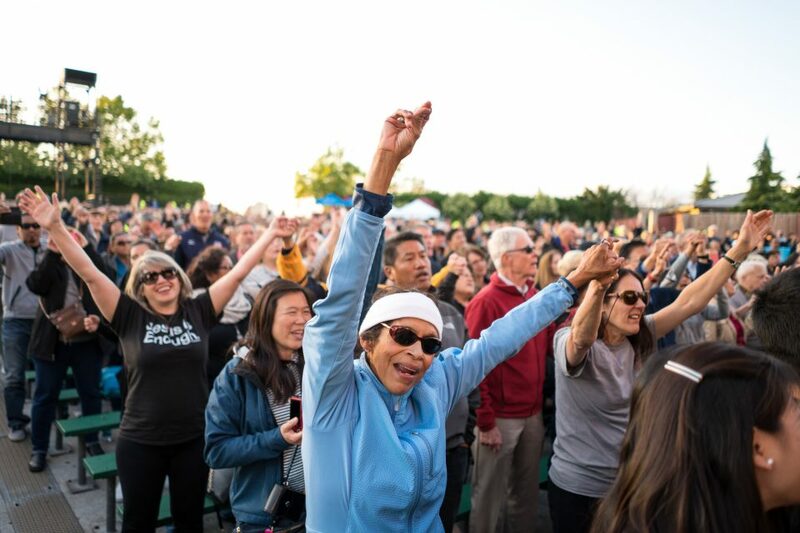 “The world is crying out for hope.” Jeremy Camp led the crowd in worship, calling on those in attendance to shout to the Lord for all of Santa Clara to hear. 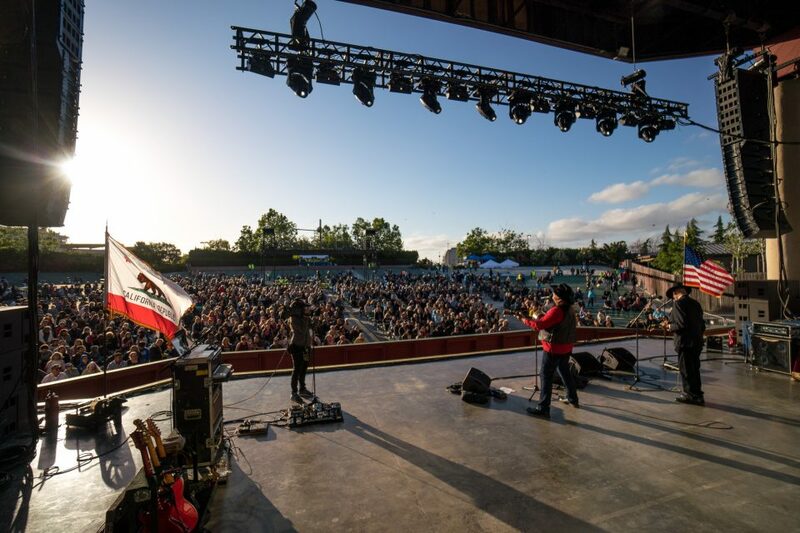 Dennis Agajanian also took the stage, singing crowd favorites like "God Bless America" and "How Great Thou Art." Fireworks lit up the sky for the grand finale. "Let's celebrate what God has done here tonight," Franklin said. 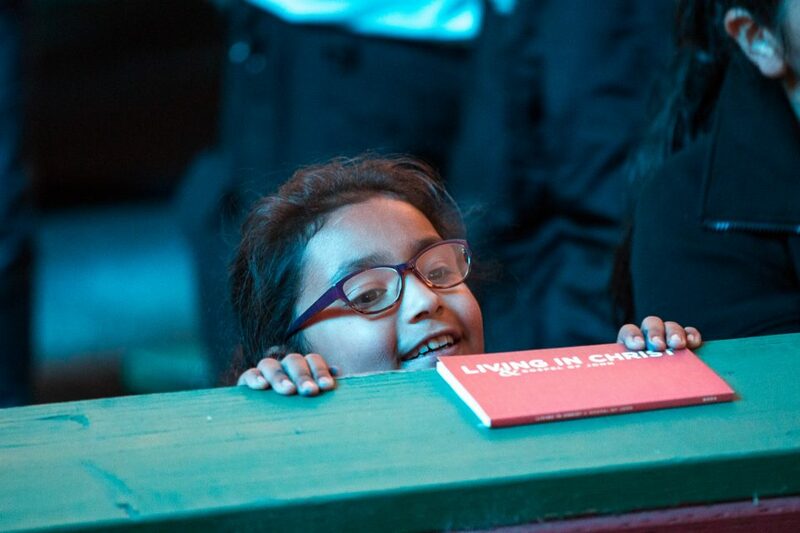 Each person who responded to the invitation to accept Christ was given a red “Living in Christ” booklet to help them grow deeper in their faith. 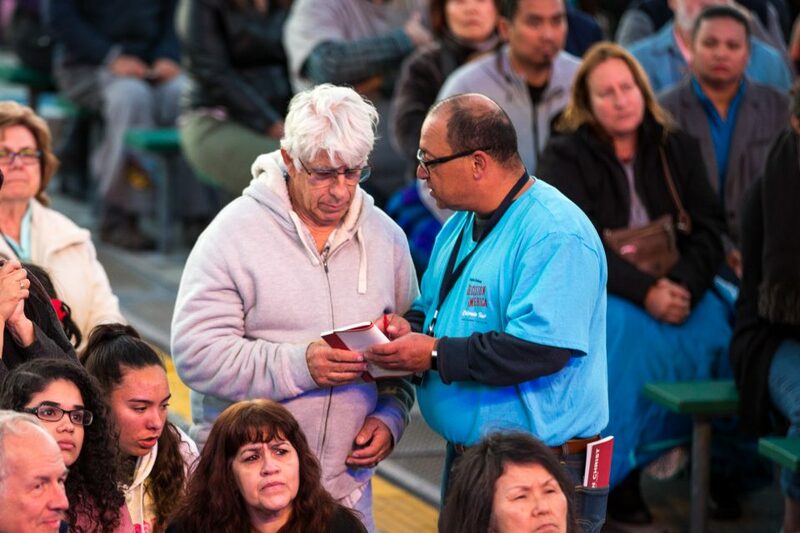 Billy Graham Rapid Response Team chaplains as well as prayer volunteers were also sprinkled throughout the crowd to pray with anyone in need and answer questions about following Jesus. “That’s what God does. 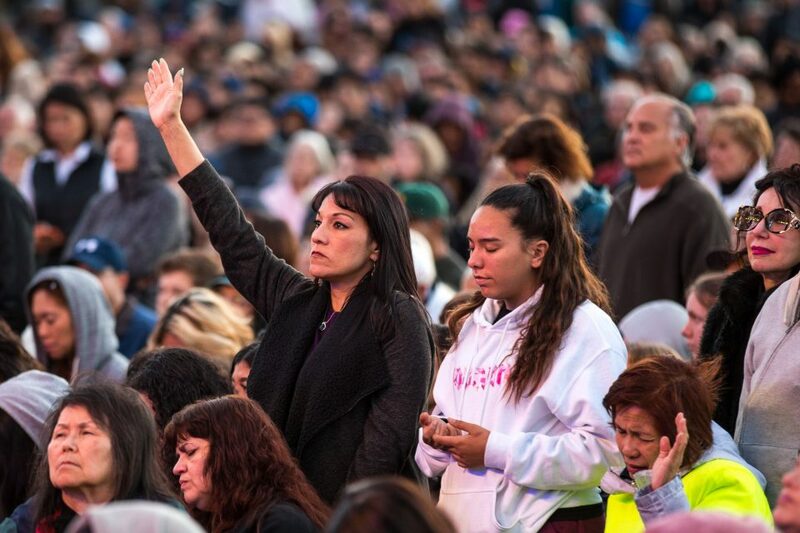 He’s in the forgiving business.” By the end of the night, many stood up in the crowd to indicate they wanted to make a decision for Christ. “Tonight, you can become a child of God,” Franklin added. 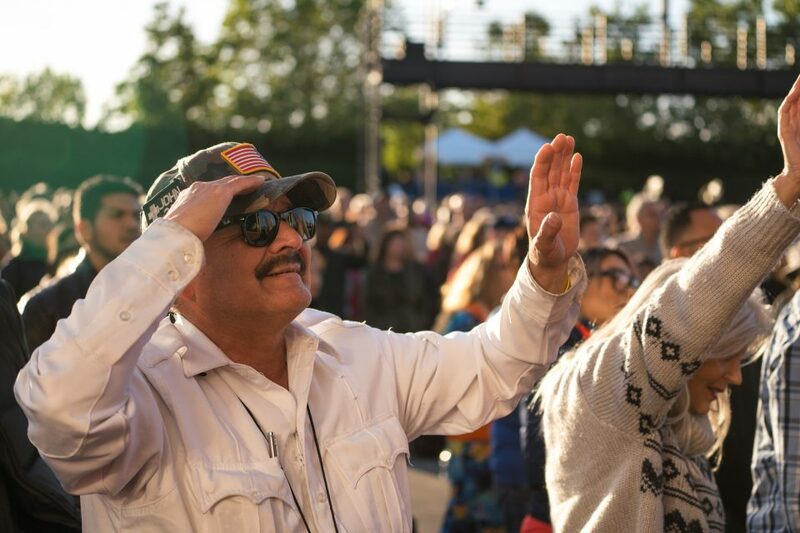 A praise and a salute. 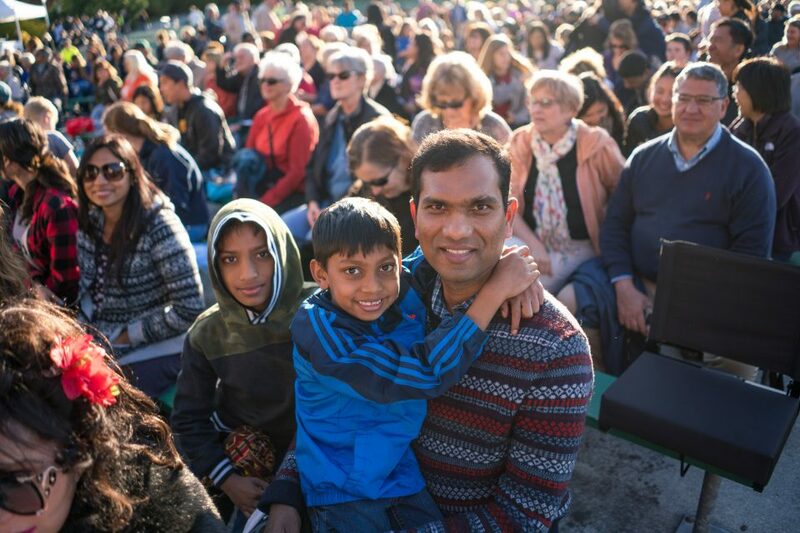 With the San Jose airport just a short distance away, planes often roared overhead as Franklin spoke. “Let’s drown out those airplanes with our prayers to God!” he said. 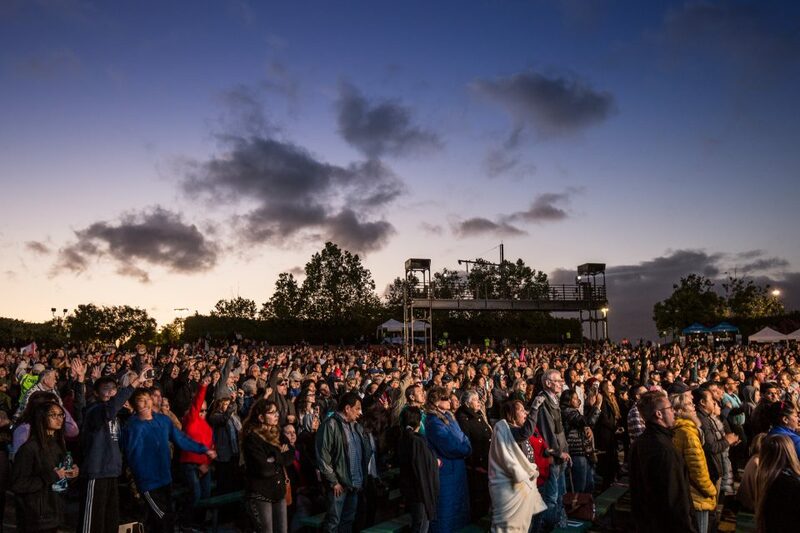 There are four stops remaining on the California tour. 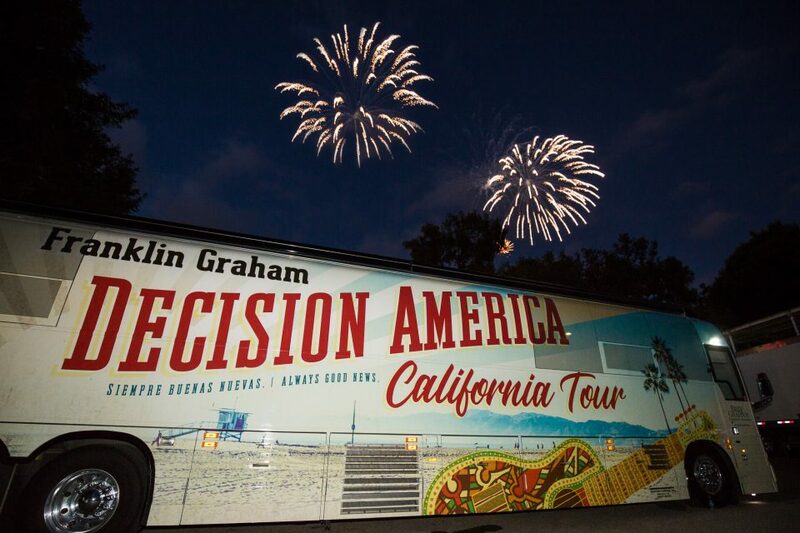 Then, the Decision America buses will hit the road again in August for similar prayer events with Franklin Graham in Washington state and Oregon. 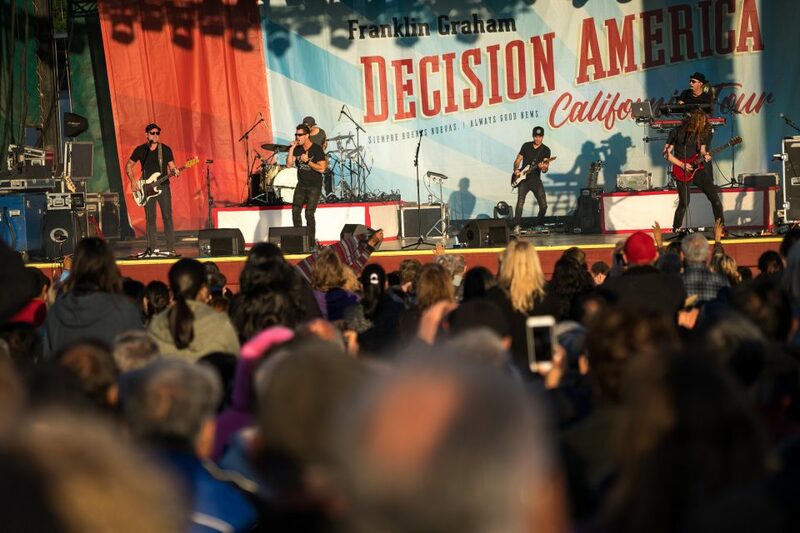 Please pray for the next stop of the Decision America California Tour in Berkeley. 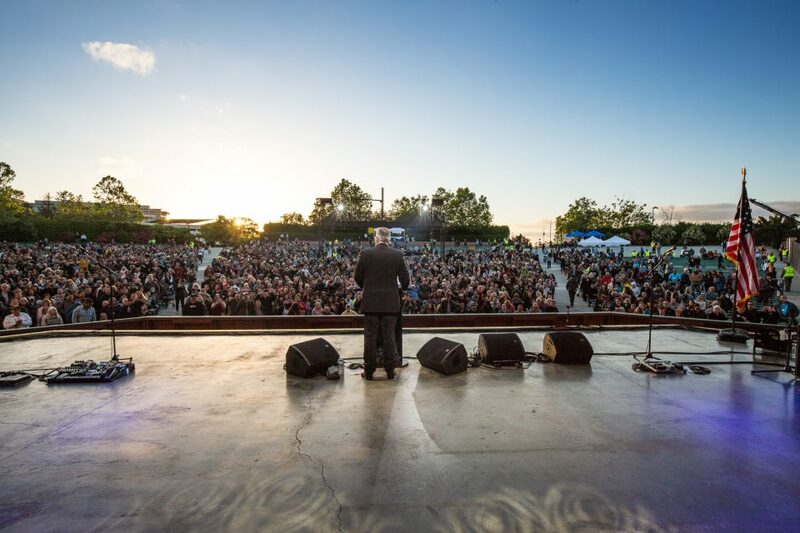 Friday's prayer rally will be live at BillyGraham.org/Live and on Franklin Graham's Facebook page.